210mm black carbon steel 3 in 1 Rygua scissors / Shears. 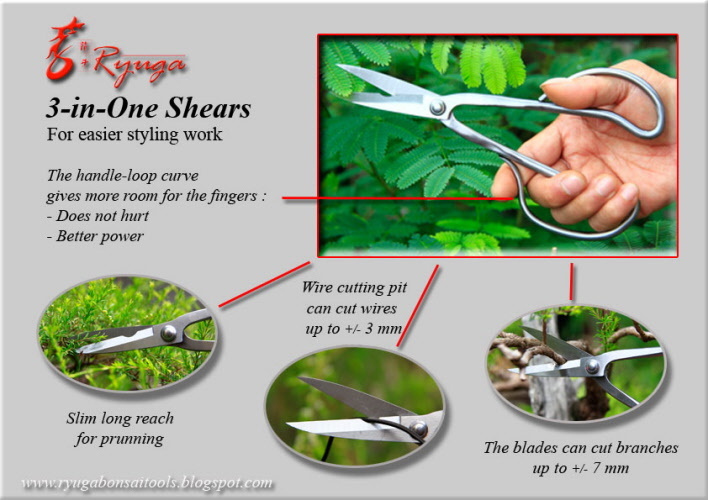 A great all round scissor for most jobs on your bonsai tree. With the long handle, this tool is great for fine pruning in those hard to reach area's. The cutting pit will cut wire up to 3mm! The blades also cut branches up to 7mm thick. Simply a must have tool for any bonsai artist.